A: Our island is home to diverse cultures, languages, ethnicities, nature, history and cuisine. But politicians both then and now have ruined it. By garlanding and presenting them with betel leaves, citizens are inviting politicians to rob the people of their wealth, commit any crime and get away with it. This is the bad and ugly side where politicians have large egos once elected and believe that fellow citizens are lesser mortals. They feed on the citizenry’s ignorance and wealth – and become larger in terms of both ego and size! Q: Could you highlight the challenges facing the country today? A: The challenges are in meeting production for consumption, developing knowledge and information, dealing with climate change and seeking alternative energy, sustainable transportation built on innovative thinking, biodiversity conservation and sustainable management. Responsible production and consumption are vital components that must be addressed while R&D should drive innovation, thereby making it the basis for Sri Lanka’s competitiveness. A: Living in a century that is experiencing the most advanced period in the history of humankind and a world driven by knowledge, much greater emphasis must be placed on the important objectives of higher education – i.e. recognising its relevance, adapting it to ensure employability, and equipping young people with relevant skills and knowledge. While climate change impacts are evident every day and governments are addressing these issues through various initiatives, developing countries are the most dependent on natural resources and at risk from its effects. And one hopes that the sustainable use of natural capital and diversifying the economic base will reduce poverty. 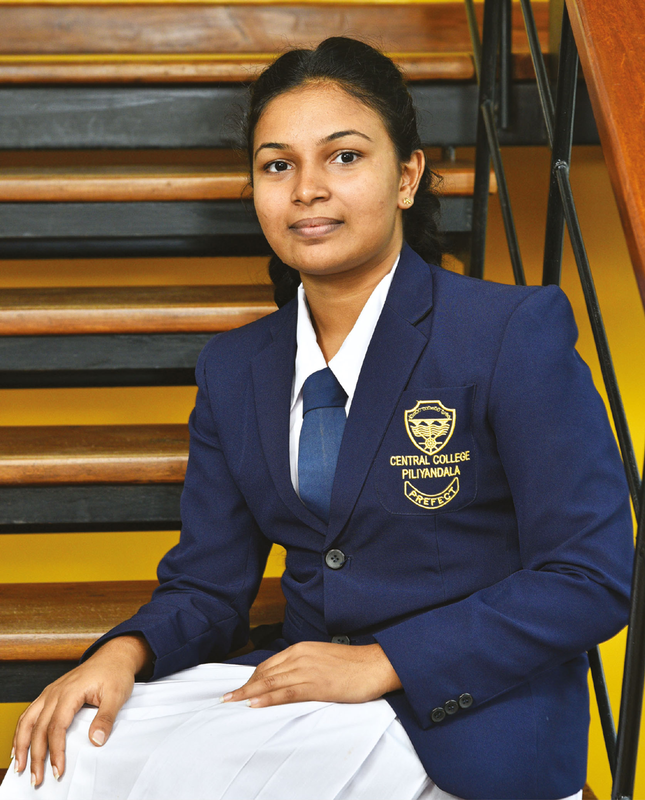 Q: What opportunities do you perceive for young Sri Lankans such as yourself? A: The Commission on Countering Violent Extremism based in Washington D.C. is encouraging a new global partnership revolving around education reform to combat extremism. With young people having to deal with a world full of challenges, they should be exposed to areas that will offer them holistic knowledge. Therefore, internships are vital given that youth will not only obtain relevant skills and experience but also gain exposure. Employers too will benefit from these placements as they will be recruiting from those who are already equipped with skills in multiple areas. A: My immediate goal is to follow international studies and obtain a degree that will hopefully lead me into the diplomatic corps. Once I’ve achieved this and begun working in a consulate, I hope to get married and look after my parents. Q: How do you view global poverty and HIV/AIDS? A: Global poverty is difficult to quantify without comparing living standards between countries. For example, extreme poverty in Sub-Saharan Africa is perceived very differently to that of the US. Developed countries typically provide more safety nets and welfare structures to assist their poor while developing countries are challenged to support large numbers of impoverished citizens. It is equally important therefore, to prioritise the world’s poor. A disease that attacks the immune system, HIV/AIDS makes people vulnerable to infection and disease. A treatment and cure must be found to halt the spread of this disease. Q: Who is responsible for climate change or global warming, in your opinion? A: Greenhouse gases, fossil fuels and pollution are major contributors to climate change and global warming. While human driven alterations in land usage and cover including deforestation, urbanisation and shifts in vegetation patterns result in massive climatic changes, human driven solutions are also available – they include the three ‘R’s using less heat and air conditioning, and becoming more energy efficient. Q: How do you view the growing importance of social media? A: One of the most rapidly growing communication and marketing channels in the world, social media’s marketing power is undisputed with 63 percent of consumers using it for online business. The younger generation increasingly uses social media and commerce is also becoming all the more dependent on it. Advertising and marketing through social media is comparably more cost-efficient than conventional print, TV or radio.